My mom wanted to celebrate her 60th birthday by cruising the Inside Passage. If I’d known what was really on her bucket list, we wouldn’t have had to sail all the way to Alaska just so she could see a bear, an eagle and a salmon in the wild. 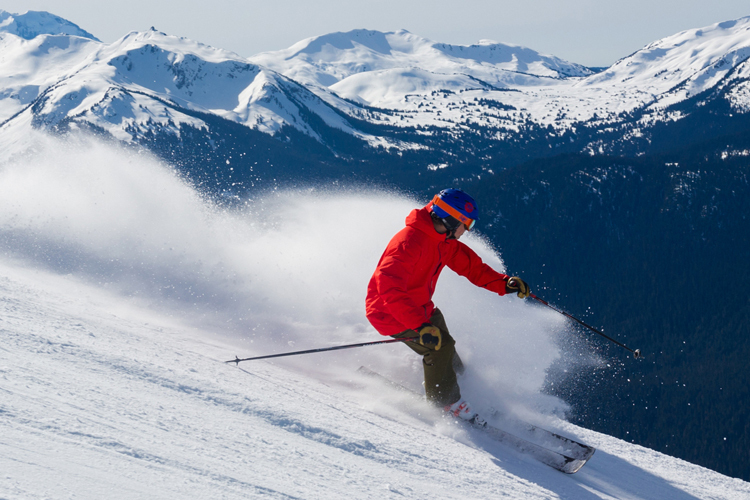 We could have done that right here in Whistler. The week Mom flew home, having missed sighting any of her ‘wild three’, I spotted all of them without even trying. At the golf course. 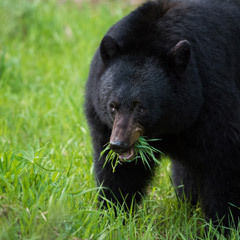 In spring, as bears emerge from hibernation, they “unplug” their digestive systems by scarfing skunk cabbage. Out walking, either the Valley Trail around the Whistler Golf Club, or on the links, keep your eyes open for boggy, soggy areas and you’re sure to spot one. 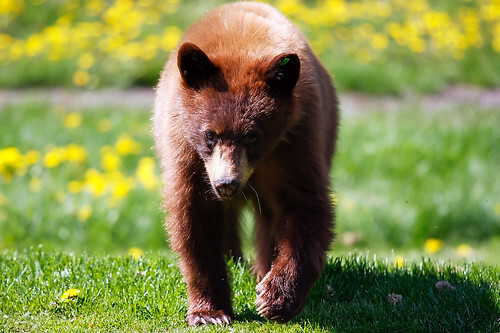 Most of Whistler’s golf courses have committed to keeping “naturalized” zones, with fescue grasses, dandelions and tree islands attracting Ursus Golfus. On your bike. Any trail is easier for a bear to travel along than pushing through dense bush so Mountain bikers do see a lot of bears. 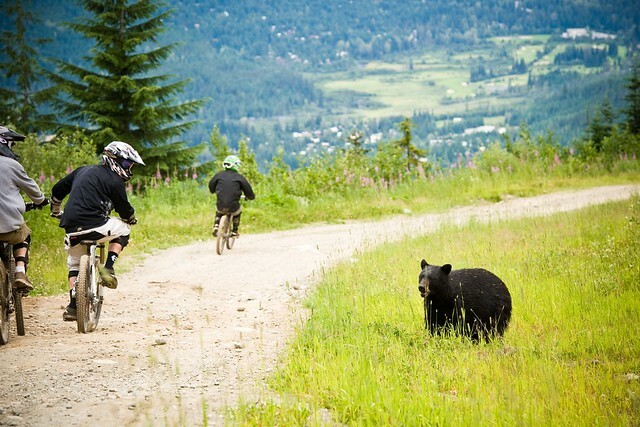 Bikers have also been known to see Whistler Blackcomb’s resident bears hanging around Easy Does It on dusk. From the chairlift. 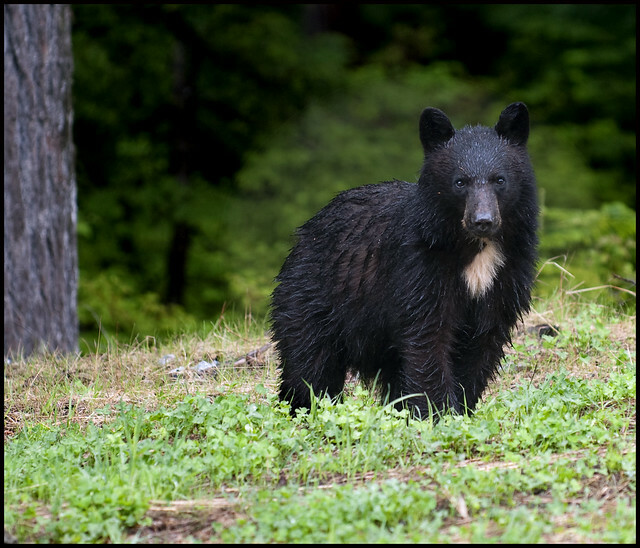 Whistler’s resident bear expert, Michael Allen, has already been able to identify 44 of Whistler’s black bears emerging from hibernation. 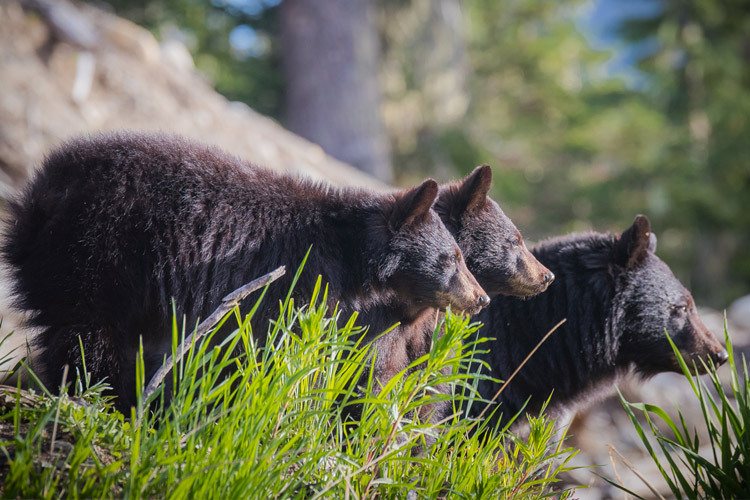 Four of the 17 ski area mother bears are expected to emerge with new cubs, while another 5 are emerging with yearlings from their on-mountain dens. 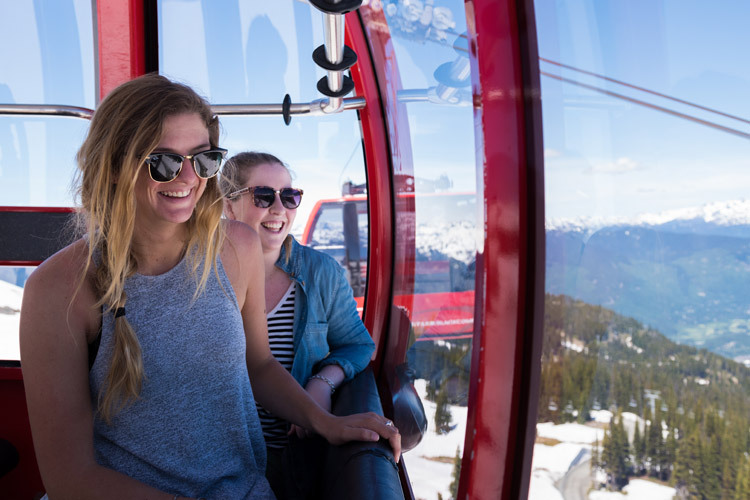 Gondola and chair-lift rides create a perfect bear-spotting perch. 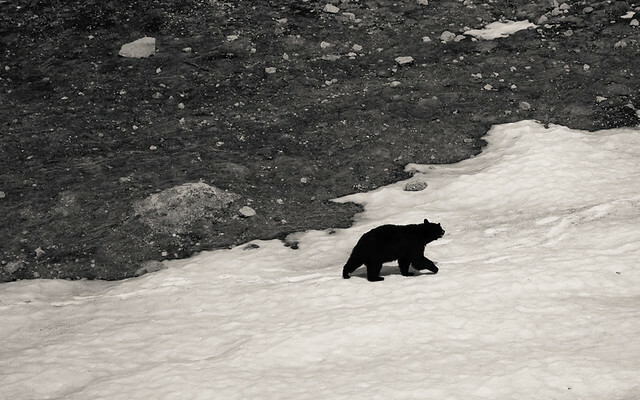 Black bears have even been known to take a little snowslide to cool their hairy bellies down. 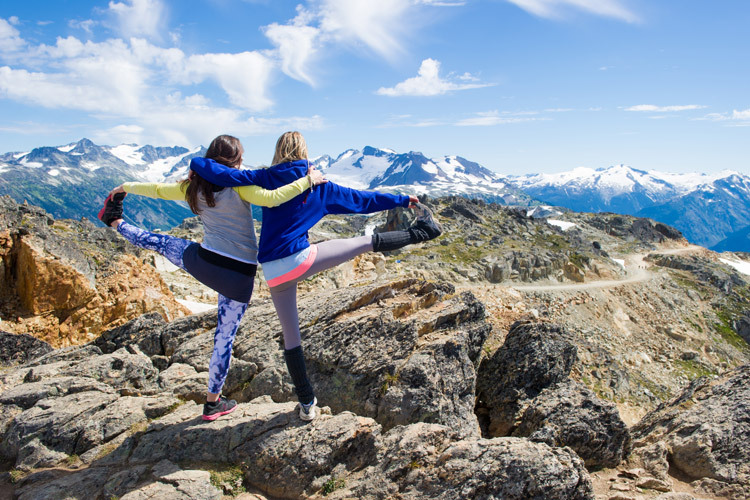 Berry patches on Blackcomb are prime spotting territory. From Creekside, the eagle-eyed can often spot a bear grazing on the Creekside ski-out. Whistler is prime black bear habitat. Spotting a bear always comes with a jolt of wonder… but more serious collisions can also occur. As domesticated as we humans might be, we are not very well-trained when it comes to managing bear-human conflict… and unfortunately, the bears end up on the sharp end. Every year, more than a dozen Whistler area bears need to be relocated or euthanised, to prevent life-threatening interactions. The worst places to spot a bear in Whistler: in your dumpster, by the highway, or within 25 feet of you. 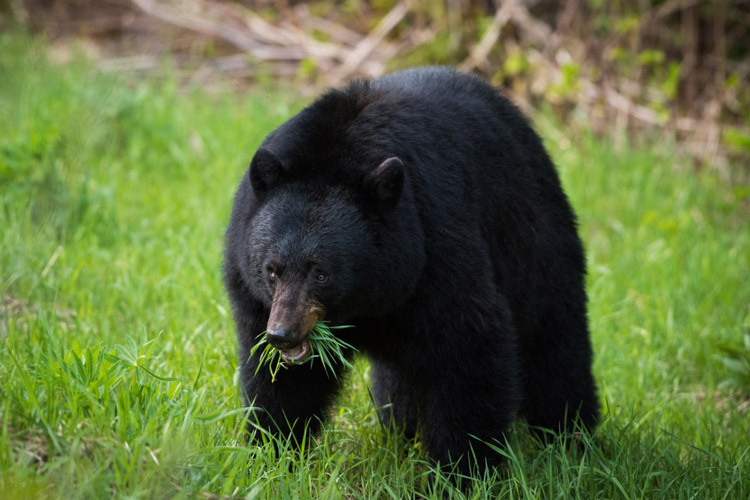 Grazing on your garbage (the ultimate “junk food”), causing a traffic-snarling “bear-jam” as people pull off the highway to grab some happy-snaps, or having their personal space invaded by a random encounter with enchanted humans are all likely scenarios that Whistler bears face. Unfortunately, the next step is usually bad news for the bears. 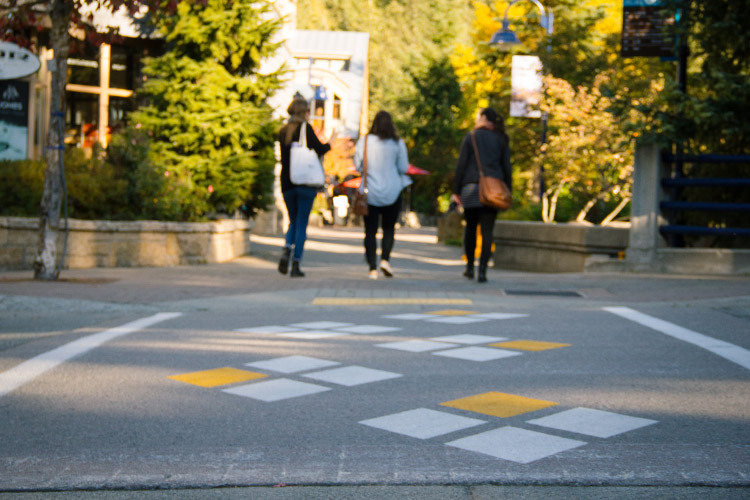 In 2010, at least 10 Whistler bears were killed by vehicles and another three were injured. Most of us have been sleeping with bears forever, so it’s hard to remember to keep our distance. But if we do, we’ll keep the possibility of a magic sighting of one of Whistler’s wild three simply by helping keep them wild. 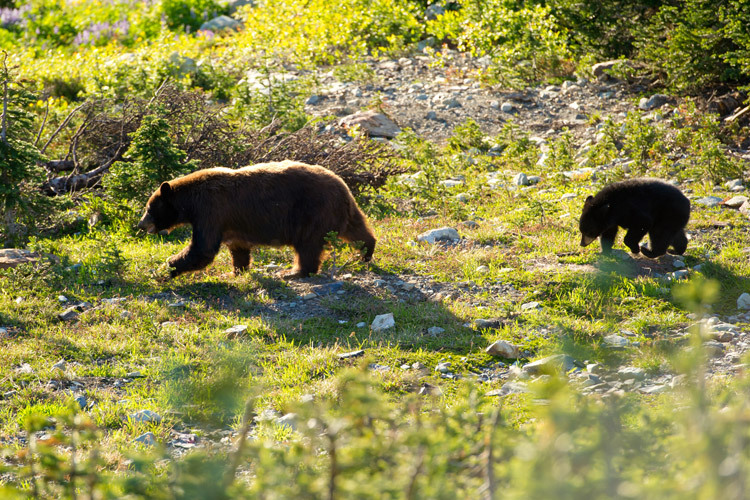 Check out what other travelers say about Bear-Watching in Whistler on Trip Advisor. Whistler Bear from the Chair.